A chieftain of the All Progressives Congress (APC) and former member of the Rivers State House of Assembly between 2011 and 2015, Andrew Miller has died. Miller, who represented Opobo/Nkoro constituency, slumped and died in the early hours of today. 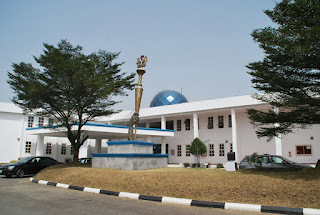 The former lawmaker had earlier lost his wife in an accident at Saakpenwa-Ogoni, the headquarters of Tai Local Government Area of Rivers state. Miller, according to reliable sources, visited a hospital in the Rivers state capital on Wednesday for check-up, but slumped and later passed on. It was gathered that the APC chieftain’s death might be as a result of sudden relapse of the illness. The Publicity Secretary of APC in Rivers State, Chief Chris Finebone, who confirmed the former lawmaker’s death in a telephone interview yesterday evening, described it as shocking and that he would be greatly missed.